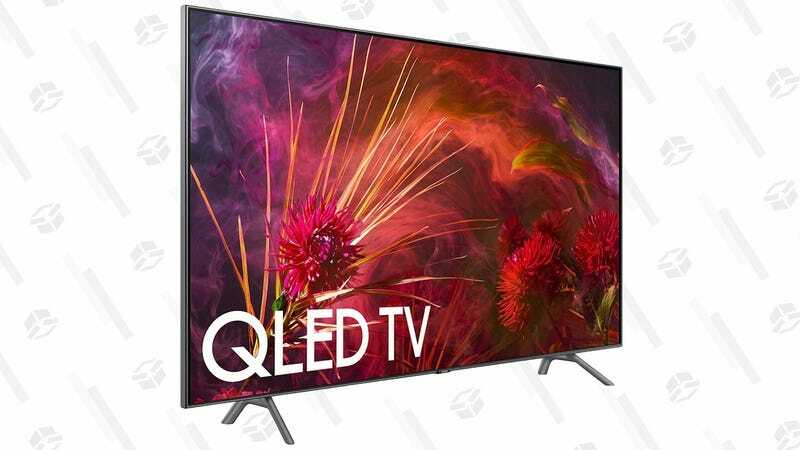 Samsung’s quantum dot-powered Q8 TV isn’t exactly easy on the bank account, but it would be a stunning upgrade to your home theater, and you can save $400 on the 75" model today, or $600 on the massive 82" model, compared to what you’d pay elsewhere. Okay, so with that background out of the way, Samsung’s 2018 Q-series TVs utilize quantum dots to great effect. This Gizmodo review is about the 2017 model, but most of it will still apply to this set. This being the higher end Q8, it further enhances the picture with features like local dimming and Samsung’s best HDR engine. Just note that if you want the 82" model, you’ll have to select it at checkout.